Ministry of Agriculture, Irrigation and Water Development has suspended the 2018/19 Farm Input Subsidy Programme (Fisp) citing anomalies in the distribution chain and redemption of beneficiary coupons. 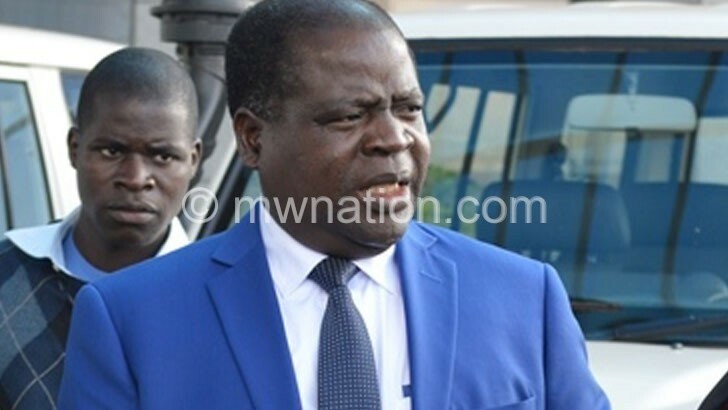 The ministry’s decision, communicated through a statement signed by Principal Secretary Gray Nyandule-Phiri dated November 6 2018, has raised more questions than answers with Farmers Union of Malawi (FUM) casting doubt on the successful implementation of the K42 billion programme designed to improve food security among one million vulnerable smallholder farmers by providing them with hybrid seeds and fertiliser at prices subsidised by taxpayers. Reads the ministry’s communication: “The ministry wishes to inform the general public and all stakeholders that it has suspended the 2018/19 Fisp coupon distribution as well as supplier coupon redemption until further notice. But the ministry has not indicated when Fisp would resume. The development comes at a time the country is set to get the first rains with which most farmers plant crops, especially maize, the country’s staple grain. The move has also come against a background of reports of concerns in the distribution of coupons where, among others, some beneficiaries claimed their names were deleted from registers. Reacting to the suspension, Civil Society Agriculture Network (CisaNet) executive director Pamela Kuwali expressed worry that the delays threaten farmers’ access to inputs. In a written response, she called for speedy investigations into reports of fraud in coupon distribution. On his part, FUM president Alfred Kapichira-Banda accused ministry officials tasked with the distribution of coupons of creating the mess. In an earlier statement, the ministry said the current Fisp would directly benefit one million households, an increase from 900 000 who benefited in the 2017/18 programme. Commenting on the developments, chairperson of Parliament’s Agriculture Committee, Joseph Chidanti Malunga, yesterday said he was taking up concerns of forged beneficiary registers with the ministry. The ministry report said Lilongwe with 89 200, Mzimba with 63 400 and Kasungu with 62 700 lead the pack in terms of beneficiaries. Critics of the programme have pushed for an exit strategy and noted that the country is entangled in a vicious cycle with billions of kwacha invested in Fisp and, at the end of the day, taxpayers fishing out more to feed millions of hungry mouths after poor harvest. This year, the country will need about K20.8 billion to buy 138 488 metric tonnes of maize to feed 3.3 million people facing hunger until the next harvest in March 2019, according to a Malawi Vulnerability Assessment Committee (Mvac) Final Report. Critics of Fisp have suggested increased investment in irrigation farming.